Are you bored of the regular traditional restaurants? Maybe it’s time to try something new. Check out these unique restaurants across the lower mainland and find which one is closest to you. Let us know how your dining experience was, we’d love to know! 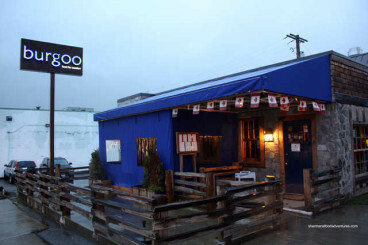 If you’re looking for delicious fish tacos, check out Tacofino located on 2327 E Hastings Street in Vancouver. 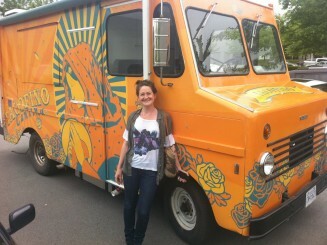 This restaurant started as a street car specializing in Baja-inspired tacos inspired by the owner’s world travels. The tacos are made from scratch and are affordable and nutritious! Other than Baja-style fish tacos, Tacofino offers burritos, tortilla soup, tuna ta-kos and other seasonal specials like wild mushroom quesadillas. If you enjoy wings, this is a great restaurant to try out for a unique dining experience. Choose from over 20 different flavours of wings ranging from mild to spicy hot. The most unique item on the menu is the Bobby wing, a wing so hot that you have to sign a release form with the next of kin. Are you up for the challenge? 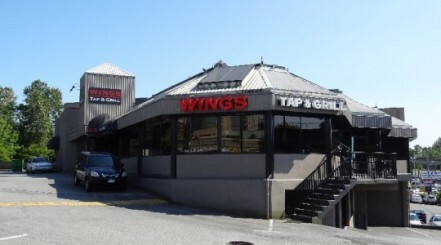 Wings is located all across the lower mainland so check out which location is near you. If you really want to try something new, try blind dining! Darktable allows you to have an entirely new dining experience in the dark. Here’s how it works: when you arrive at the restaurant, you are taken to a lighted lounge where you choose from a first-class menu. Once you choose, you’re led to your table in the dark by a server. Your eyes will be able to adjust to the darkness easily and you can enjoy your food in an entirely new way. 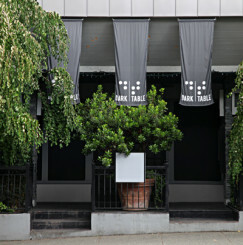 Darktable is located on 2611 West 4th Street in Kitsilano. Have you ever wanted to travel to East Africa? Simba’s Grill might not be able to get you a plane ticket but it can certainly take you there through its delicious selection of East African cuisine. Ranging from butter chicken, lamb chops, kebabs, jungle prawns and so much more, you can taste new flavours and tastes that you’ve never tried before! This restaurant is a favourite for a lot of 123 Dentist community members. 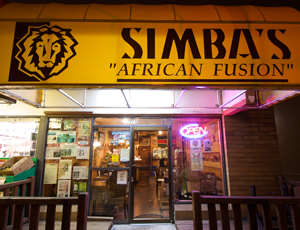 Check out Simba’s Grill for you next night out at 825 Denman Street in Vancouver. 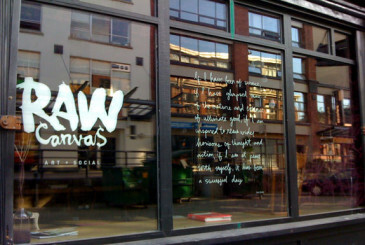 Bring out the artistic side of you by spending an evening at Raw Canvas! When you arrive, you can choose your own canvas size and get started. While you’re painting and creating with your brush and 25 paint colours, you can enjoy share platters of delicious and unique foods as well as drinks. Check out Raw Canvas on 1046 Hamilton Street in Vancouver. Try Vancouver’s original pasta bar for a wide range of pasta choices and large portions! Anton’s owner Tony Mauro created these homemade pasta dishes from his mother’s recipes in this hometown of Calabria, Italy. 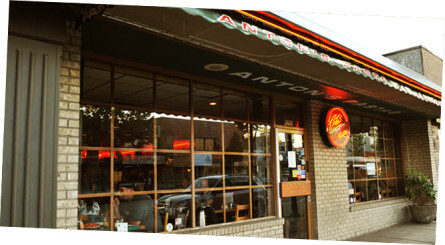 In 1983, Anton’s opened its doors in Vancouver with just three sauces, four electric stoves and nine tables. Now it’s expanded with a range of friendly staff, welcoming atmosphere and over 30 amazing pasta dishes. Check them out on 4260 East Hastings Street in Burnaby. Try a taste of Jamaica by checking out this little shop on Macdonald Street near Kind Edward. You can order a flaky, buttery and warm Jamaican patty for $2-3 or you can buy a frozen patty for a cheaper prize and eat it later. The Patty Shop offers the following flavours: mild/hot beef, curry beef, vegetable, spinach and chicken. 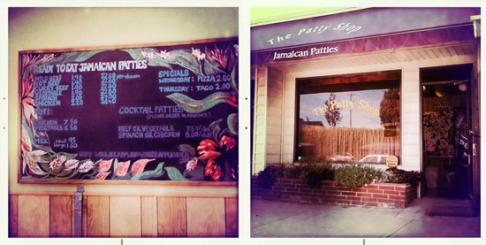 The Patty Shop is located on 4019 Macdonald Street in Vancouver. Are you in the mood for some delicious comfort food? Try Burgoo’s macaroni and cheese, grilled cheese sandwiches or ratatouille! This bistro opened its doors in 2001 at Point Grey in Vancouver and has since then expanded to North Vancouver, Mount Pleasant and Kitsilano. No matter what season it is, there’s nothing like comfort food to make our day that much better. Check out Burgoo’s website to find a location near you and let us know what you think!